Ben Tahnh Kai Lee is a farmer living near Binzhau city in the northern Shandong province of China. I am not sure about his name because of poor translation and I would prefer to call him just Lee. 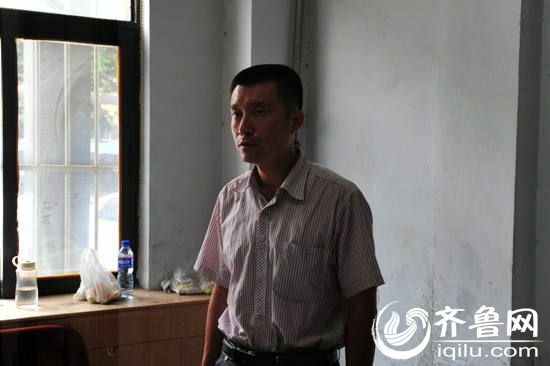 He and other farmers living in that area, catch wild rabbits by setting up electrified wire traps on the shores of the Yellow river at night. Few weeks back, Mr. Lee posted on one Chinese web site, a story of his fantastic encounter with aliens on the shores of Yellow river and claimed that he found one of the aliens dead after being electrocuted by the electric fence, which he had set up for wild rabbits. This is his story posted by him on the net. 'He says that he went to Yellow river shore around 2AM on March 9, 2013, to inspect whether he had caught any wild rabbits because in the past he had managed to catch several hares in the night. But that night there were no rabbits. As he was inspecting the wire trap he noticed that there was some light coming from his back side and he got scared and jumped with fear. He saw a UFO flying in the Yellow river beach side, above the bicycles he and and some other farmers had parked. Five aliens alighted from the UFO. He was very scared but managed to photograph the aliens and the UFO with his cell phone. While photographing, he found that his bicycle was sucked up by the alien spacecraft along with some stones used in construction of a bund for the purpose of flood control. These stones were broken in small pieces. Afraid that the aliens may attack him, he ran away towards home. But then he saw the alien craft flying off towards northwest. Next day, Mr. Lee contacted police, who said that they can not do anything and he must contact an experts in the field. So he contacted an astronomy expert. He referred the matter to Beijing experts. Beijing experts came and told him that the alien body would have to be taken to Beijing. He signed a confidentiality agreement with Beijing experts and was given a certain amount as deposit. The experts said that they would return "alien" body back by early May and when the deposit amount is returned, Mr. Lee would be free to publish his story. Isn't this a fantastic story? It has everything that a science thriller requires. When his story was published few weeks back, Mr. Lee expected lots of excitement at the local level and thought that his name would be famous. Unfortunately for Mr. Lee, shortly after he proudly posted photographs of his alien on the internet, as expected, his post went viral, but the Chinese authorities moved quickly to limit the effect it might have on the extremely gullible rural folk. He was arrested by the police for five days for "fabrications" that "disturbed the public order". It was found out that the alien body put by him in his freezer was made crudely from high quality rubber, chicken wire and glue. After interrogation by police, Mr. Lee accepted that in fact he was a fan of UFOs and the alien was a fake. He just wanted other people to believe that aliens existed.